The dog days of summer are upon us, so visit the garden to get the most out of the season. Crepe myrtles are arguably the stars of the show in July, but so are sunflowers. 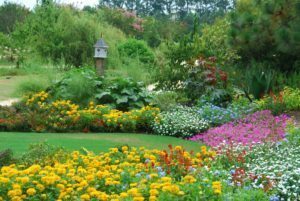 Don’t miss the exuberant displays the garden has to offer.